Apartament Blue ( 60 sqm ) is on the 1st floor (reachable through 10 steps) of the main building at Le Logge. 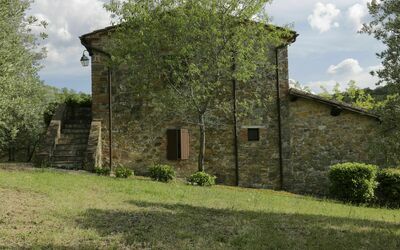 The main entrance door opens directly into the lounge from which all other parts of the property are accessed. 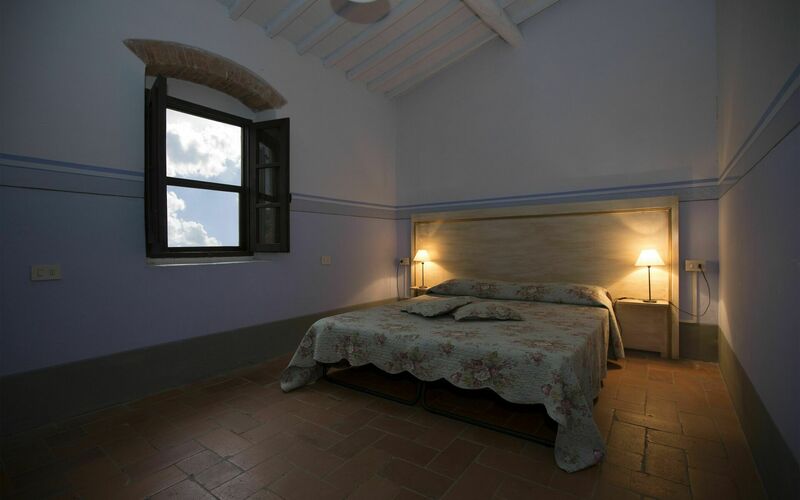 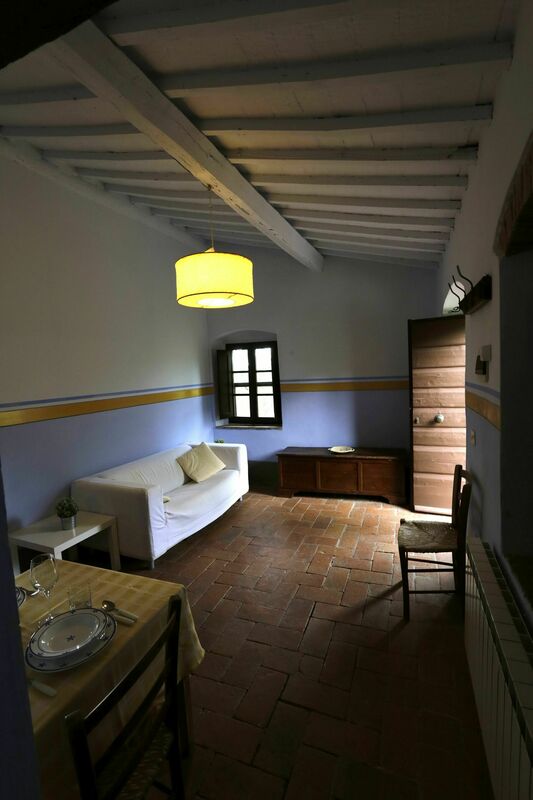 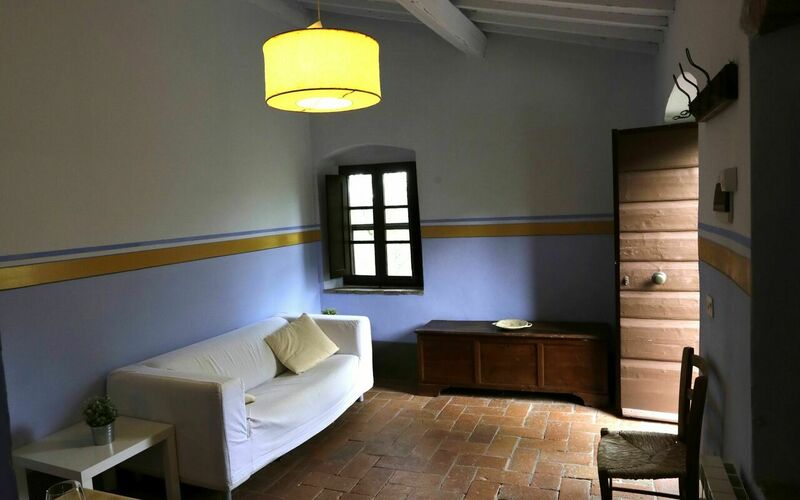 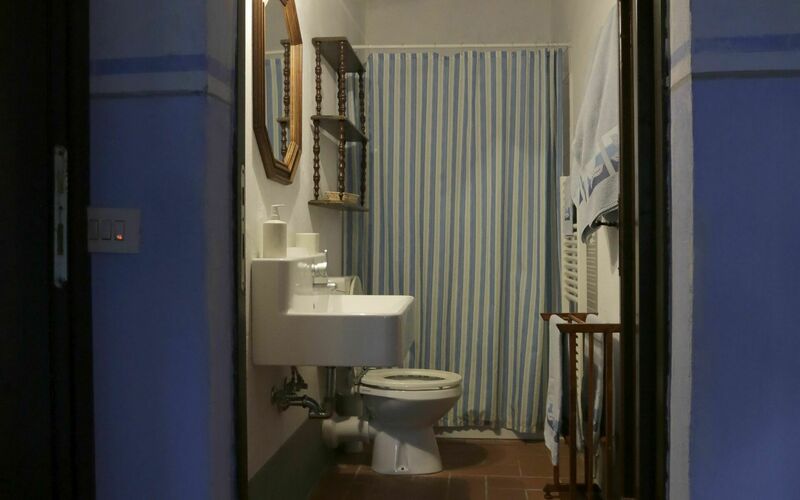 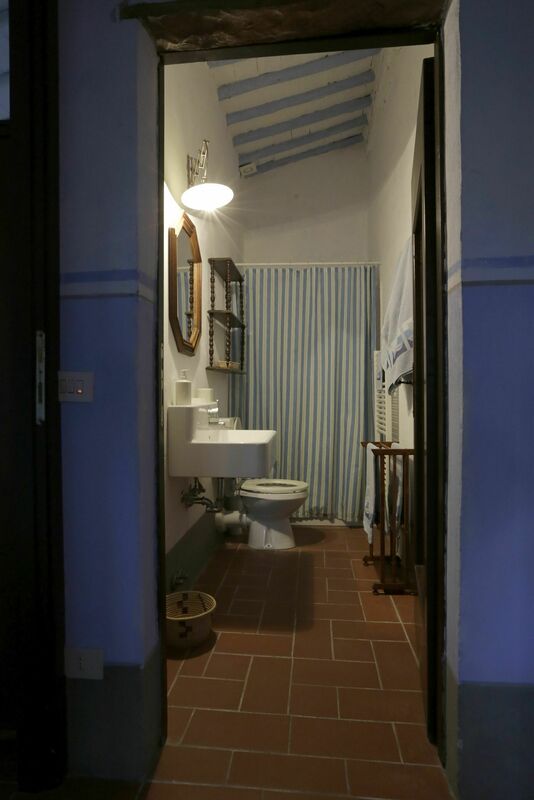 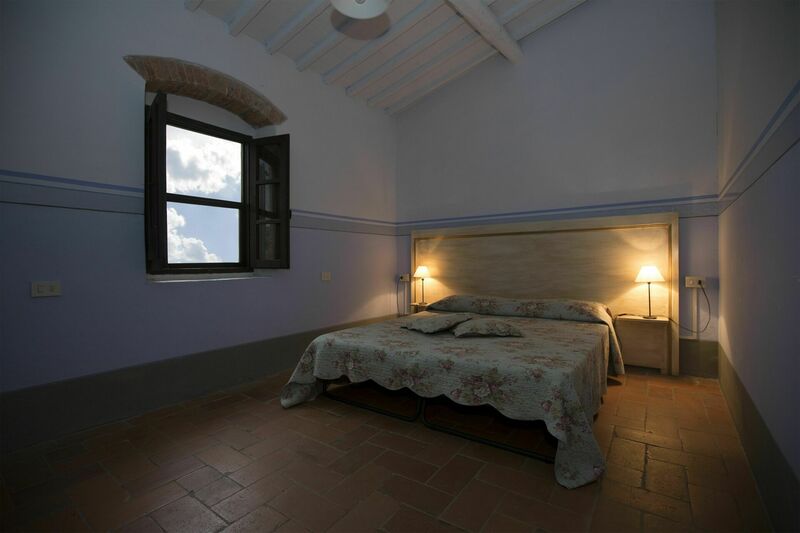 There are the traditional Tuscan terracotta tiled floors and tiled and beamed ceilings throughout the property. The lounge is simply but comfortably furnished with a sofa and dining table and chairs. 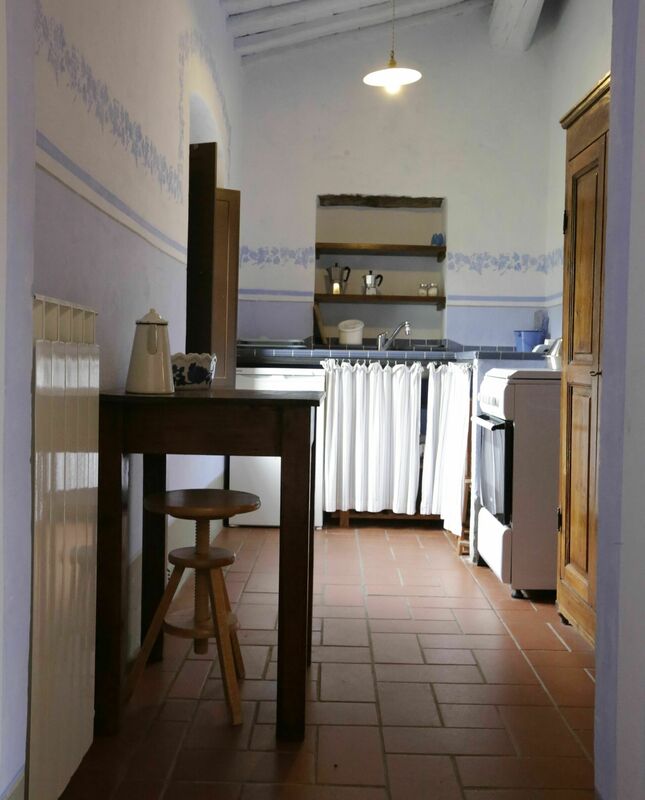 To the left a door leads through to the small but fully equipped kitchen with oven and fridge. Adjacent to the kitchen is the bathroom with shower WC and basin. 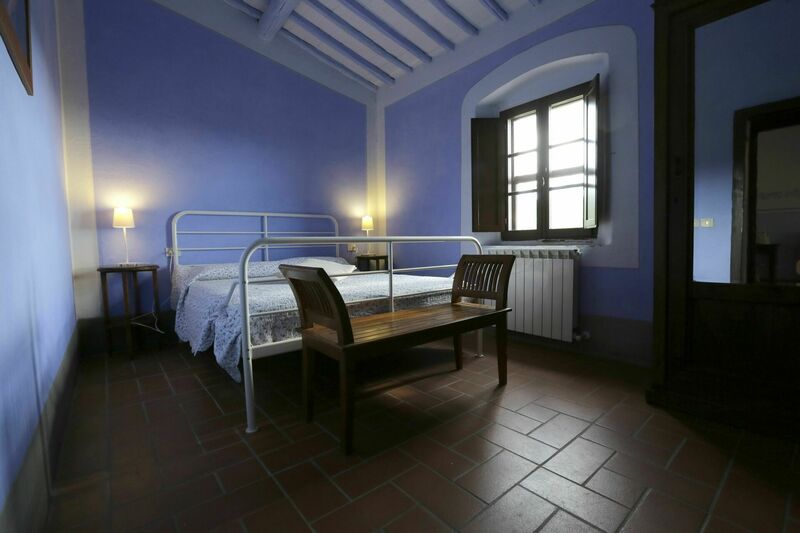 The two good size bedrooms both have double beds and wardrobes, one of the bedrooms can be made into a twin bedded room on request. 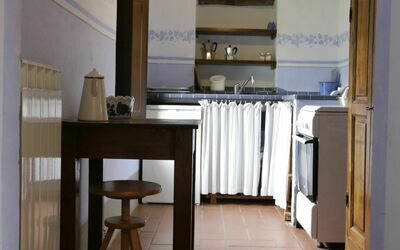 There are communal freezer and laundry facilities for guests use in the hamlet.